If you want to amp up your curb appeal before you go on the market or simply want to make guests feel more at home, adding a few special touches to your front porch can go a long way. It's a way to show your personality and style before people even set foot in your house. And the best part is that it's easy enough to make into a weekend project. Don't try to reinvent your style with the front porch--it should be an extension of your interior decorating, just a more outdoor-friendly version. 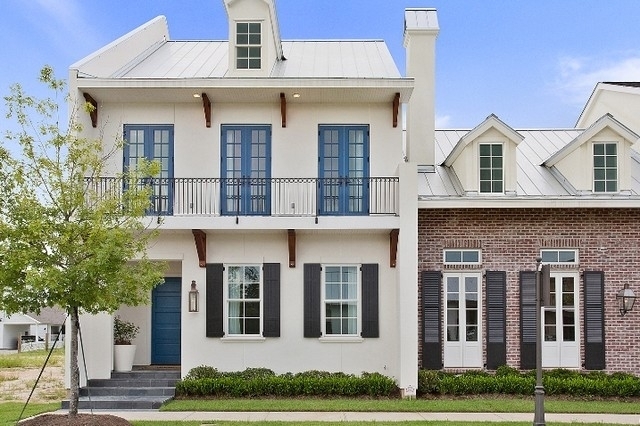 For example, if your interior style is modern with sleek lines and pops of bright color, it's not really cohesive to choose porch decor that follows in the English Country tradition. But it might make more sense to choose lighter, less substantial furniture or sturdier fabrics than the ones you use indoors. 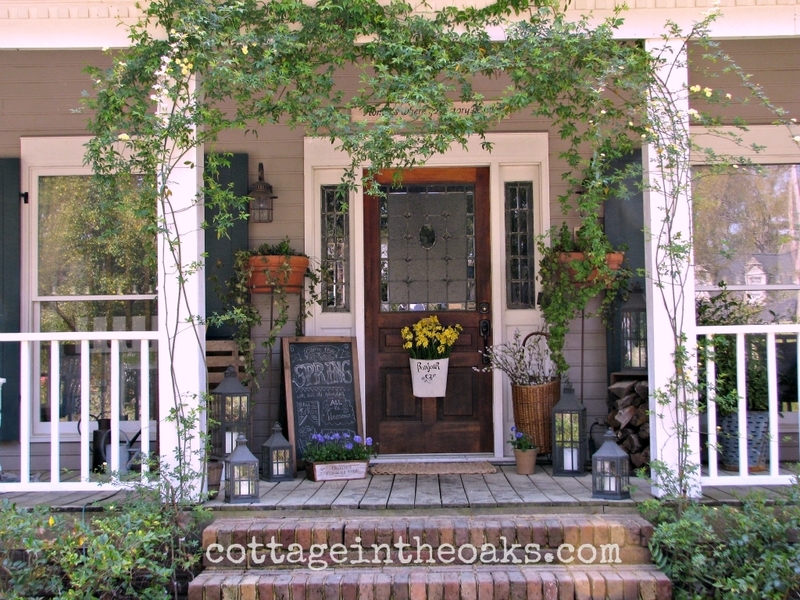 You don't have to totally remodel your porch or even buy furniture to give it a face lift. Just buy a can of paint and call it a day! Painting a door a bright color is like smiling at your neighbors. It can show openness and express personality. Just make sure the color you choose isn't more like a smirk--no one wants to live next to the house with the fuchsia or chartreuse door. 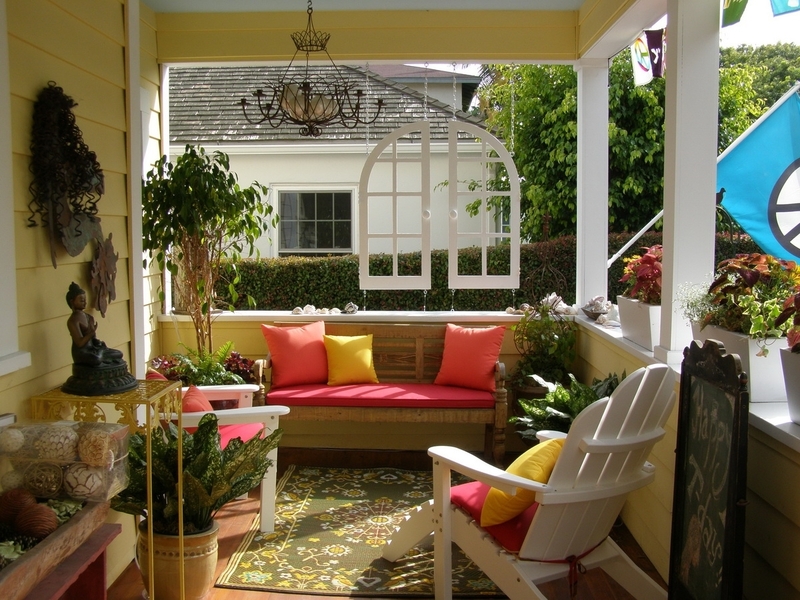 This is the perfect solution for people with small porches who don't have a lot of room to work with when it comes to decorating. This one's a fun one because they are so many ways to make your house numbers more than just a few black or gold digits glued above the door. You can stencil your house numbers on a wooden planter holding flowers. Try making a numbers out of nails hammered into a piece of wood, or gluing pretty numbers to the hanging wreath on your door. You could even stitch your house number onto a big pillow that sits on top of your yard furniture. If your porch is a hub of activity day and night, one garish yellow-orange porchlight just won't do. Make sure your sitting and/or eating areas are well lit, and go the extra mile by adding lights in your garden or on the steps leading up to your front porch. Just make sure to stock up on citronella candles or tiki torches to keep bugs out of the picture! Few things make people feel quite as welcome as being told that they're welcome every time they come over. There are plenty of ways to say this, of course, and you should feel free to get creative with the message. Stencil your welcome sign on canvas, or doodle it on a chalkboard that guests can write messages on. You can even get a fancy decal to stick right on your door. If you have a big front porch, the best part about it is probably the fact that it acts like a whole other room in your house. Maybe your family takes the occasional meal onto the porch, or your neighbors like to stop over for a drink and a chat. 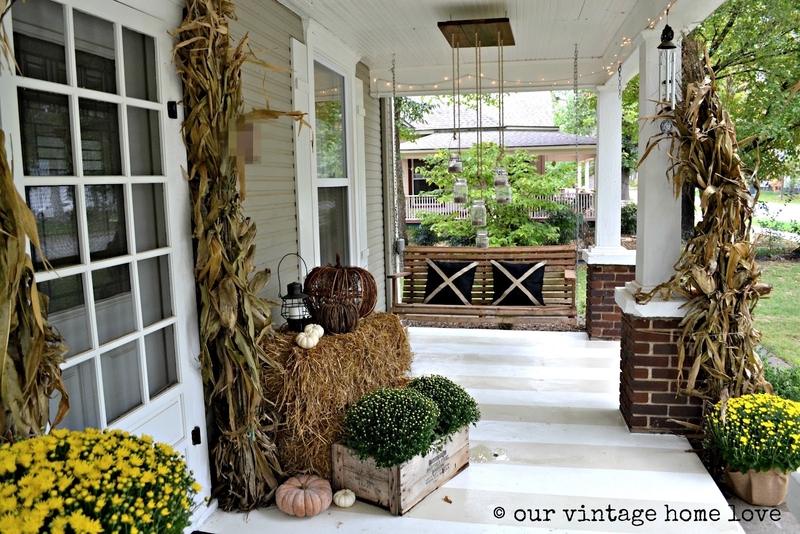 If you have a get-together sized porch, make it get-together friendly! Don't just slap a few iron chairs and a wobbly table out there and expect people to make themselves at home. Opt for cushy (but still weather resistant) furniture that lends itself to a few hours' of lingering. 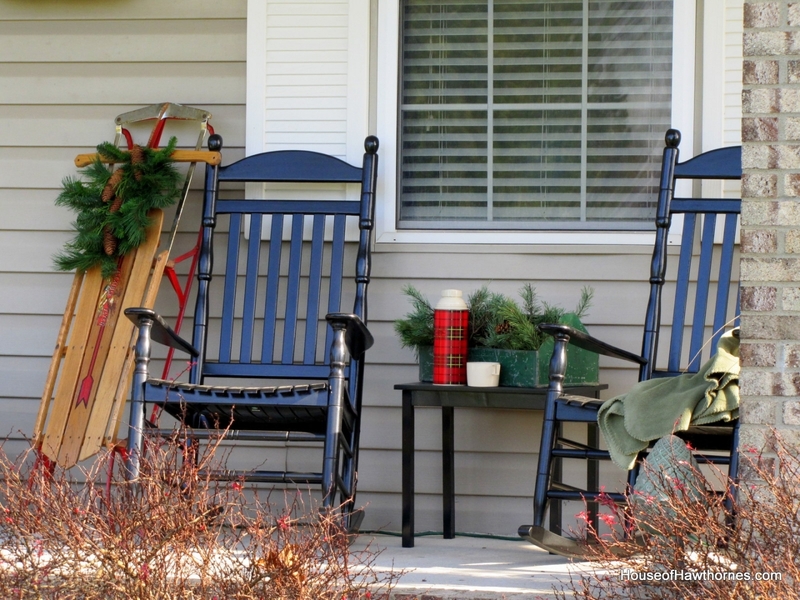 While seating isn't a must for a small porch, a quality rocking chair might motivate you to spend more time on your porch, and will definitely add to your porch's picturesque quality. Other than tasty treats and fun family events, the best way to welcome a new season is to show all of your neighbors and guests your sense of spring/fall/Christmas spirit. Decorating for a holiday or season helps us slow down and appreciate the sentiments that that particular time evokes. Just make sure to change decorations in a timely manner so you don't go from being the enthusiastic neighbor to the annoying neighbor whose adorable Halloween ghosts are still lingering in the yard at Thanksgiving. 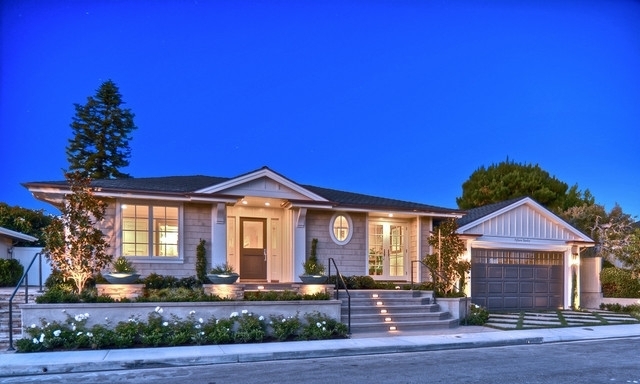 For more ideas and inspiration for your next home project, head to Modernize.com. Bryn Huntpalmer is a mother of two young children living in Austin, Texas where she currently works as an Editor for Modernize.com and nurtures her HGTV obsession. In addition to regularly contributing to Home Decor and Design websites around the web, her writing can be found on Lifehacker, About.com and on her personal blog Her Own Wings.